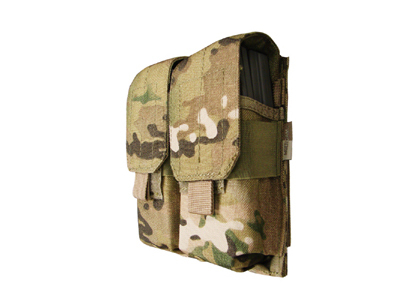 The Condor Outdoor Dual M16 Molle Pouch is designed to hold 4 M4/M16 (2 in each pocket) magazines with an elastic band to hold the magazines snug inside the pockets. 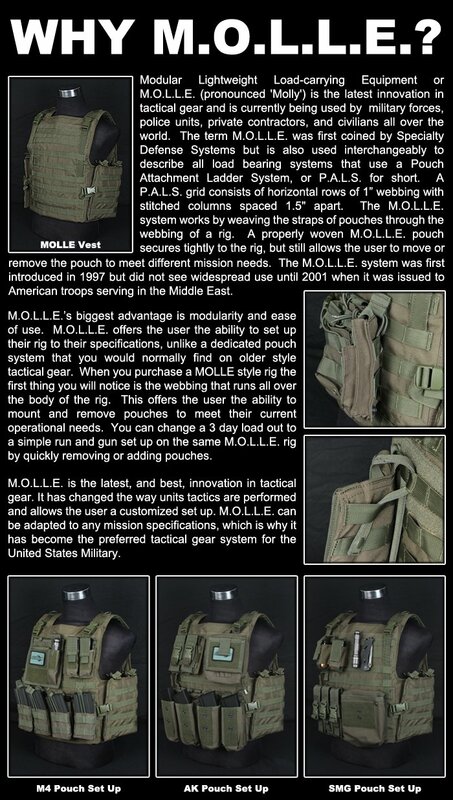 It attaches to tactical vests and plate carriers with standard MOLLE webbing. These pouches are an excellent and efficient way of carrying additional magazines. Great Product. Holds magazines tight. Matches multicam vest perfectly. Looks great. Great quality. great piece of equipment. does an outstanding job of holding magazines in place tightly. looks amazing. the mulitcam looks the same as the rest of my gear. overall great job. Been using two of these mag pouches for years now. They have held up great. I carry up to eight extra mags on my Battlebelt/H-Harness rig with these pouches. Since I play more of a Recon set up I am on the ground a lot, and moving through brush. The flaps/covers come in real handy keeping my mags from getting filthy. Not to mention keeping my mags secured! Haven't lost a mag with this pouch yet! Good solid pouch with full flaps securing and protecting mags. They are not free, and my molle straps come undone. I think it's because it's the older style. It is easily fixed with a little tape. Will these pouches hold the Valken Tactical Dumbell Thunder B? Thanks.